another oil from New York Biology. Their Peppermint Oil. 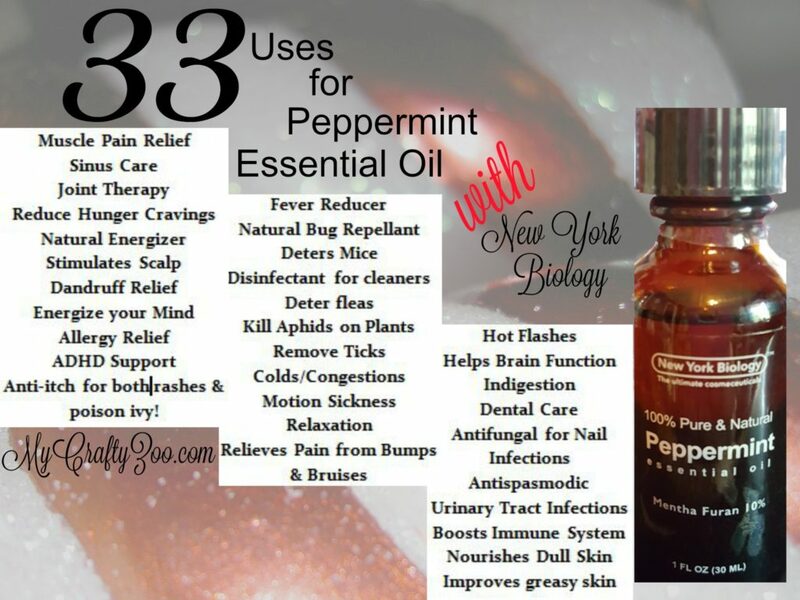 The smell is awesome and I am loving the uses it has! My favorite is that it helps with joint therapy! I have recently been diagnosed with tendonitis so I’m doing all I can naturally to relieve the pain! I’ve also recently posted about lavender oil, sandalwood, Tea Tree and there are more oils to come soon so keep checking back! If I missed some uses, please share with me! I want to learn all I can about all the uses! Do you use Peppermint Oil? I’d love to hear all about how you use it! Did I miss any uses? How does it work best for for you? ← This & That: Getting Rid of Belly Fat with Fitglam #WaistTrimmer!